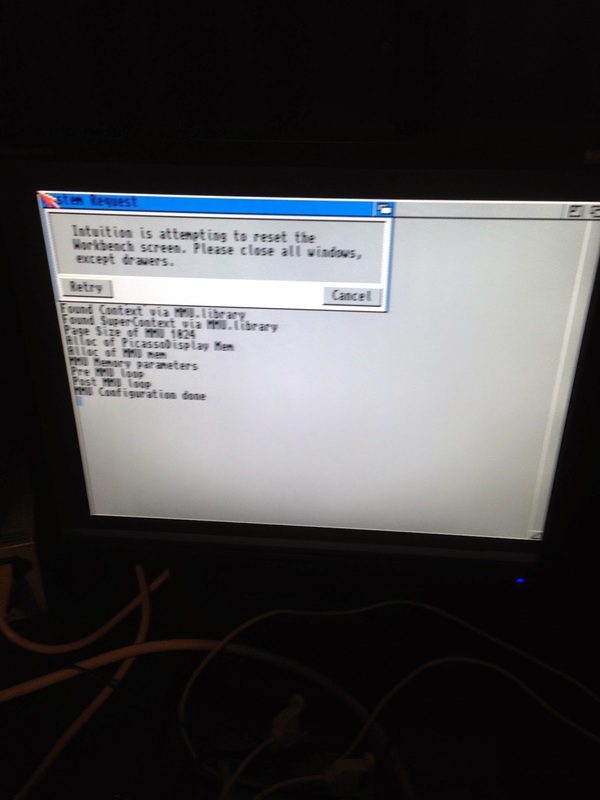 Today I am continuing my work in Part 2 of building the AmigaOS3.1 install on my CF Card on the Amiga 600! Please read Part 1 here first if you haven't already and want to follow from the beginning of the process to see what was done. I cover a lot of ground here. Normally you extract lha archives to RAM: and check the read me included in the archive for install instructions first. You should update the default c:installer program that is included with AmigaOS3.1. Quite a few installers expect a newer version of the installer and will break without it. 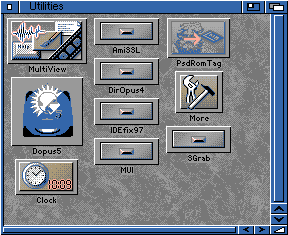 There are quite a few installers to choose from such as InstallerNG and more - however I chose to use the Amiga Technologies Installer 43-3 available here on Aminet. 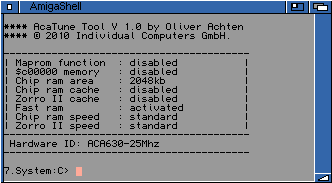 Once installed (copy the installer program from RAM: to C:), it will support pretty much most installation programs written for AmigaOS3. 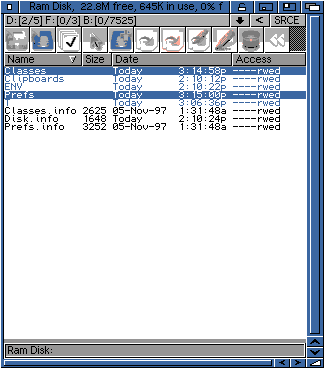 In order to run AWeb web browser on the Amiga 600 (and other applications like DiskImageGUI too), I will need to install ClassAction 3.3 first - On AmigaOS 3.9 this is included, but on a base AmigaOS3.1 install I need to download it from Aminet and install it manually. There is a 3.6 version on Aminet but the 3.3 version is actually the later version, and the one you need for DiskImageGUI so grab that version (classact33.lha). 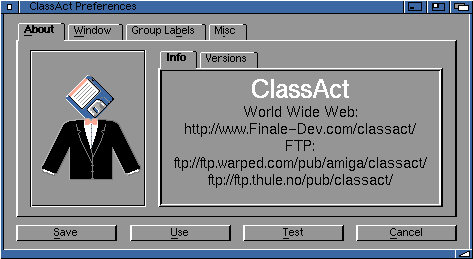 The install of ClassAct 3.3 is then completed. 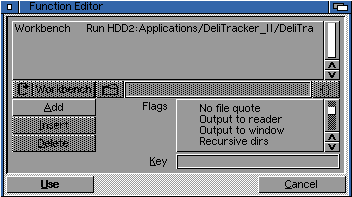 However I found when installing ClassAction earlier that the prefs program needs reqtools.library latest version to run. This can be downloaded from Aminet as well, the v39 version is here. Next I extracted Directory Opus 5.9 to Sys:Utilities/Dopus5. 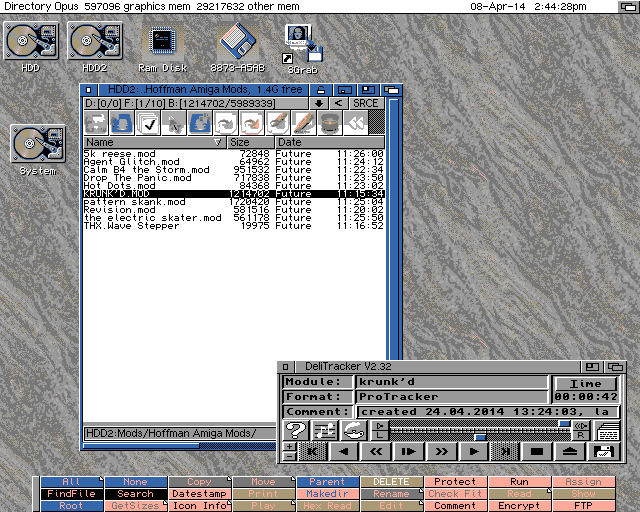 I could of installed Directory Opus 5.8 Magellan II (Which I own on floppy disks from 1998), but with the recent work done to update it and release the latest Directory Opus 5.9 in 2014 - including on AmigaOS3 version, I couldn't resist running the latest version on the Amiga 600. Then copy the Opus5_Startup and Opus5_Startup.info files from the WBStartup folder in the DOpus5 folder, to your SYS:WBStartup folder. This will then allow Directory Opus 5.9 to run automatically on boot. 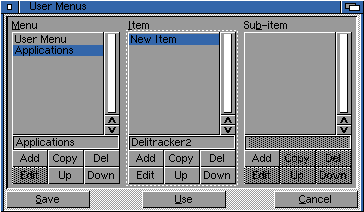 Next I wanted to customise the Directory Opus 5.9 User Menu, which appears in the title bar of the AmigaOS Workbench. Specifically, I wanted to add a new menu to put commonly used applications in it. 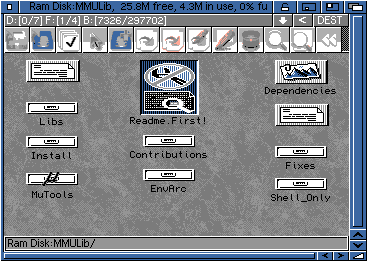 You can use ToolManager or some other "dock" program on the Workbench for this, but on the Amiga 600 low resolution screen you lose a lot of real estate having it there. So I want to use the User Menus. 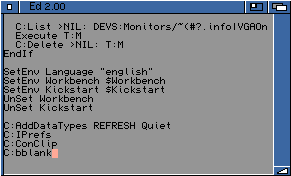 After a reboot you should have a black border around your AmigaOS3.1 Workbench screen! Much cleaner looking. 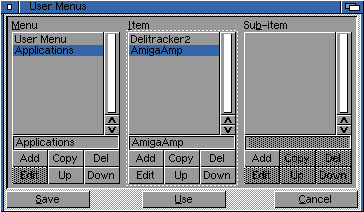 In the default AmigaOS3.1 installation, the default program for viewing Images, AmigaGuide files, Sound files and so on is a program called Multiview. 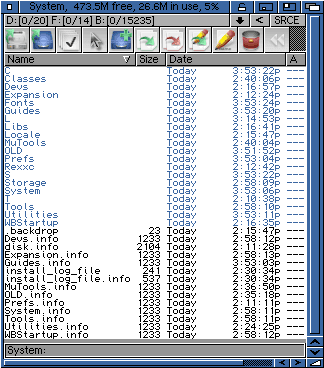 However, this is limited to the very limited number of datatypes included in AmigaOS3.1 to use it. 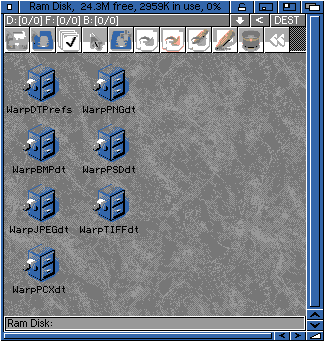 Fortunately plenty of work has been done to improve datatype support in AmigaOS3.1, particularly via the Warp Datatypes available from Aminet (many others are available there too of course). These Warp Datatypes are shareware, but work fine for 30 days for you to try out and decide if you want to keep using them or not. I fixed this problem by installing Picasso96, also downloaded from Aminet here. This will update the picture.datatype to a version compatible with the installer. When installing Picasso96, select the Graffity driver and accept the defaults. A reboot is needed after installing Picasso96. 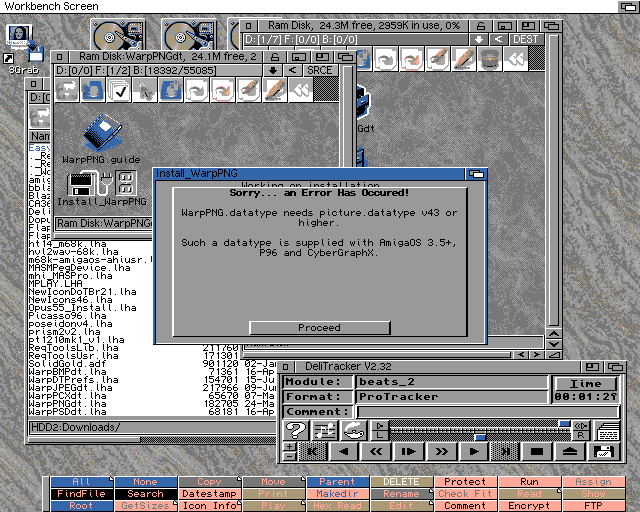 Ensure that the Workbench Screen mode prefs is set to use the standard PAL screen mode before rebooting and remove the Graffity file in Sys:Devs/monitors, as we don't plan to use Picasso96 here - we just want the updated picture datatype to allow the installation of the Warp datatypes to install and work. Whew. Lots of installs to do. Really. 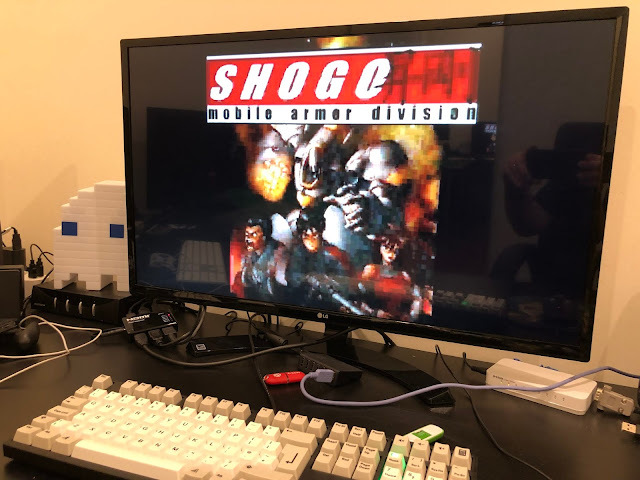 Next up is a fascinating thing I read in this forum thread here (mostly in German but the important bit is the first post and subsequent information posts in English) that allows you to run a 256 colour AmigaOS3.1 Workbench display on the Amiga 600 using the Indivision ECS! How . Cool . Is . That! It looks like a lot of work (and is) - the alpha driver status makes it a bit unreliable, but I wanted to try it out! The procedure in the link assumes a lot of knowledge, and I wanted to explain it a bit more so hopefully more people can get it working on their setup! If nothing else it is a reminder for me how to do it later on! There are newer driver versions up to 0.2w - these didn't work for me, but links are available on the forum thread if you want to try the later versions out. First I downloaded all the files above. I only have one Indivision ECS installed, so only one is visible. The Mode button under Miscellaneous Settings allows us to change whether the output is 1.0 (PAL) or 1.25 (NTSC), with the option to use Graffiti mode in either (or not at all). 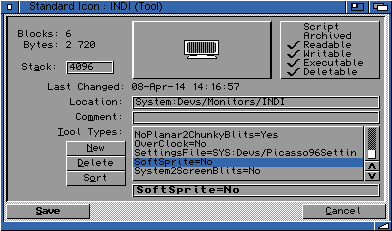 The Graffiti mode can be used by Picasso96 to display a higher colour Workbench (or screen) on the Amiga 600! I already installed Picasso96 earlier in this post so we are good to go on that front. But there is a catch that stops it working - the Indivision ECS "bus" speed is insufficient to send through the required data throughput for a higher resolution screen and colour depth. A suite of programs called MMULib (Available on Aminet as above) needs to be installed for this to work. It uses the MMU on the ACA630 accelerator to manage data going through the Indivision ECS to keep the performance acceptable. You must have an Accelerator with an MMU to use this - the default Amiga 600 does not have it. Please don't ask the technical details of this MMULib process - I have no idea - it just works! 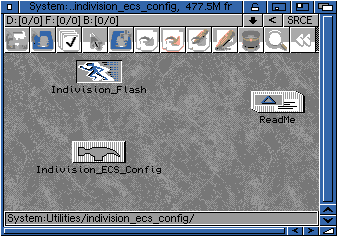 Once installed, I turned my attention back to the Indivision ECS. In order to get the 256 colour Workbench working, we need to upgrade the firmware in the Indivision ECS to the 1.10 Core INDIVECS.UPD file we downloaded. I copied the v1.10 INDIVECS.UPD file extracted (by PC) from the 7zip archive file to the Indivision ECS config folder we extracted earlier. We can check/update the Indivision ECS firmware by using the Indivision Flash tool included in the Indivision ECS config folder. I strongly recommend you backup the current v1.01 firmware to a file on your system before attempting to upgrade the firmware. (I backed up to INDIVECS.UPD.ORIG) This will allow you to boot using the Amiga 600 AV out to re-flash it back to v1.01 (if something goes wrong during the upgrade). Needless to say, when you tell it to flash the core (and select the v1.10 INDIVECS.UPD file), it makes sure you really want to do this - I take no responsibility if you do this and brick your Indivision ECS. 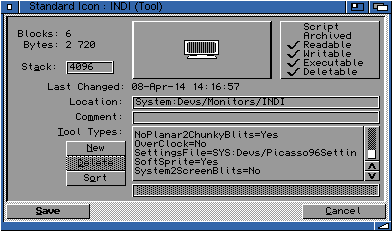 There are a bunch of files from the PIC96IEC_0.2.lha file that you need to copy to the right places, which contain the INDI monitor (Devs:Monitors), picasso96settings (DEVS:), screenmode.prefs (ENVARC:sys/) and the picasso96.library and Picasso96 subfolder (both to LIBS:) containing the card driver for Indivision ECS (INDI.card). The upshot of this is that you don't need to configure the screen modes or picasso96 settings yourself - it is done already correctly configured for the Indivision ECS! Note that you can't change the screen mode when using the working 0.2b driver - you must leave it as configured in the files you copied. Later versions let you change it, but those versions didn't work for me as I covered above. We are not finished the setup yet, though. Then click Save. This change is needed, otherwise the mouse pointer is not visible! Now reboot, and cross everything it works properly. Note that the screen flashes a blue/black colour for a second while initialising before the Workbench displays in the correct resolution and colours, just wait a bit for the warning message above to change the resolution automatically for you - you don't need to do anything except wait. Seriously cool in my opinion! Didn't expect to be doing this as part of the CF build, but I saw the thread and really wanted to try it - it works! Is it fast - hmmm, not great performance to be honest, the screen refresh slows down a lot with larger windows open, but you can work with it. Screen switching to run programs in PAL/NTSC works, but sometimes will crash or hang trying to come back to the Workbench again. It is an alpha driver after all - very promising work so far though! I will convert back to the standard PAL interlace screen mode with 8 colours for normal use, but this was fun to setup and play with. 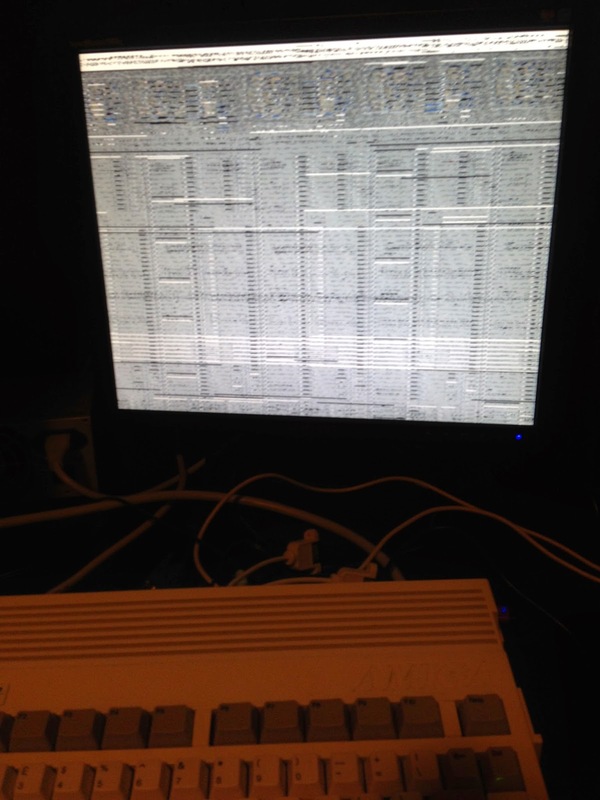 I can now set the Amiga 600 to this mode anytime I want to test stuff in 256 colours at 800x600 resolution! Plenty more build work and configuration still to do - I will continue this build in part 3 soon! This inspire me to do my A600 project. It will be other modification but some parts will be the same as yours. This blogs are more like "howto" for me and I also follow your X1000 blog as that is my main Amiga. Great job! Not everyone has access to the German forum, could you add link to the latest files as well ? Great job! Not everyone has access to the German forum, could you add link to the latest files as well ? Thanks a lot !